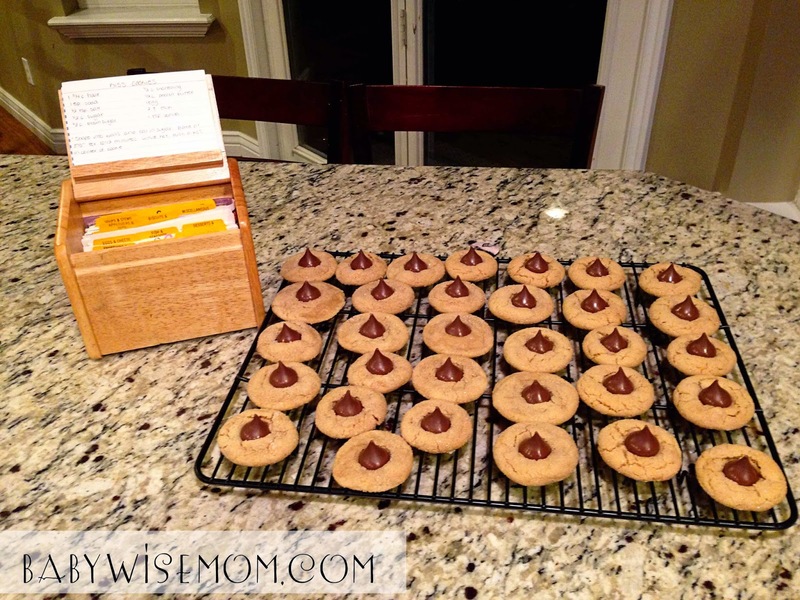 Kiss cookies always remind me of my grandmother. 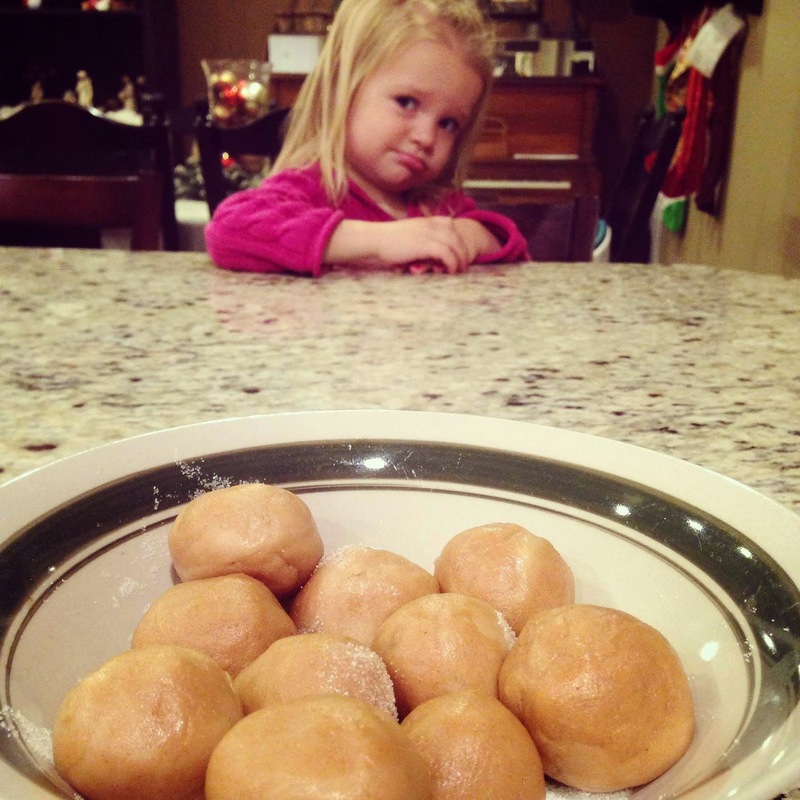 She always had them at her house at Christmas. 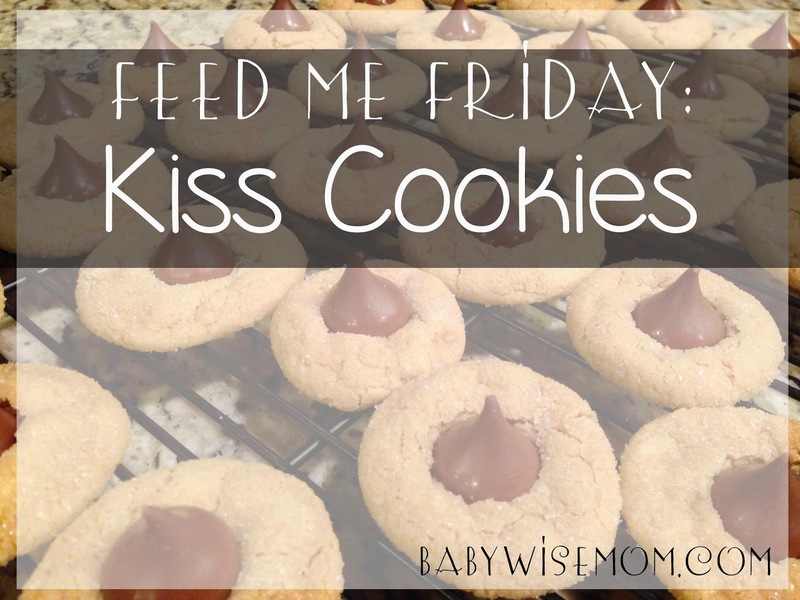 I must add, while I typically always like cookie dough better than the cookie, with the kiss cookie, I like the cookie better than the dough. Though as you saw earlier this week, Brinley doesn’t care much about my opinion on the dough vs. cookie status. Mix ingredients together. Start with dry ingredients, then add in wet. Roll dough into balls. I usually get 1 heaping teaspoon to a tablespoon of dough and roll it. The size of your ball will impact the size of your cookie. There isn’t anything exact here. Roll the ball in a bowl of sugar. Place on cookie sheet. Remove from oven. While still hot, push a kiss into the center of the cookie. Don’t push it so far that you break the cookie in half or push through the cookie. You want it in the cookie, but not breaking the cookie.